What would your readers want to see in the design of a modern dollhouse set of plans? How much would they be willing to pay for these plans? I tried to explain to a few parties that only 8 people read this blog, but no one seems to take me seriously. Well,...the mic is on. I would love to see plans for an Eichler-like house or anything minimalist/modern. If I was Queen for a day, the perfect abode would have open floorplan with 2-3 bedrooms and 2 baths. A version of the Kaleidoscope House would be great as well. Or a modern condo tower with 3 units and patios. Price? Maybe $50. - $70. max? Hoping everyone else reading your blog will write in with their thoughts. I've been interested in building my own dollhouse since spying the 360 house on this blog. Also - I agree with Doris - a smaller home similar to the Kaleidoscope would be welcome by many, I'm sure. I'd be willing to pay between $50-$100, possibly a bit more depending on the details in the interior/exterior (if any). With split levels, a big deck, huge windows. I'd pay about $70-$130 for one of those. Floor to ceiling windows. Lots of windows. Skylights. Open floor plan. Elevator. Decks and balconies. A pool---even an indoor one. Sliding doors everywhere, maybe an oversized pivot door entrance. Sunken living room would be great or sunken conversation pit around a fireplace. Beamed ceilings are nice but I would probably chicken out or get lazy on building those---but STILL totally great. Roof top garden. Agree with Doris about the condo or penthouse with separate units. I know I'm forgetting something in my excitement. I'll comment again if I think of anything else. I'm so tired of all the victorian stuff! I would love to see any kind of modern plans, or kit, and I'll agree with all the comments that have been said here. I'd pay whatever it takes to get something non-victorian on the market. Big windows, open plans, multi-levels, etc. Something with an atrium would be fun. -3 story tower, each level is one loft-like open space, allowing for lots of creativity as to floor plan. 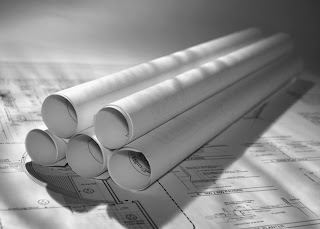 -It would be great if the plans were simple in their presentation.. I assume that there are lots of us who are not architects and would have an easier time if the plans were reader friendly. -Plans for a pod-like house, where the builder could add pods as needed. Start with 1 or 2 basic pods, then add more, etc. Could allow for flexibility. I live in one of those typical California 1950's/1960's ranch houses that look very very bland from the outside, but when you walk in, you're like "ohh!this is cool". It's an older home that wants to be an Eichler but isn't. Let's just say that there's been plans for a major remodel OR moving for some time. My home is decorated modern--the kind where the design is a salad bowl of high-end pieces, IKEA, West Elm, CB2 and Target finds. In a word: Boring. ha ha ha! I mean, when people visit they always seem to want to know where stuff came from or compliment the decor, but it's not so great. Average folks in an average house. ha ha! Well I have a colonial,a victorian,a hacienda,the Imagination doll house, a marx tin litho, and a dollhouse copy of the house I live in. I need a high tech house to showcase the best of current design. I think $150.00 to $250.00 price range. Modern MC, I just made a blog and I was wondering if I could post a link to your blog on mine. Let me know. To do a 'one-off' modern dollhouse with style and details will cost a lot more than $70. The way to get a low price is with volume and maybe offshore production. Maybe some easy to follow plans would help a lot of people. This also bypasses the expense of shipping a completed dollhouse. Hello, now you can count 9 people who read your blog. I must say that yours is the best for me 'cause you show many modern and minimalist pieces and this is very difficult to get in miniature. I would pay about 50-100$ and I would like a structure with many windows and very simple structure. I am from Spain, so if you want I can tell you about spanish doll house colleccions (I have started may but never to the end!). As a proud Kaleidoscope House owner, I too think it's time for another modern plastic dollhouse. (I'm still mad I never got the pool pavilion!) Plans are great if you have the tools and the time. But perhaps something more modular is in order. I like Doris N.'s idea of a pod house that snaps together. And it would also be nice if the house had electrical wiring in it. Maybe some LED lights that are battery powered. And a docking station for an mp3 player with speakers. Think about it, a functional mini stereo! I like a lot of what others have said already: open plan, 2-3 bedrooms, 2 bathrooms, roof garden &/or balconies. Though I love the Kaleidoscope house, I would prefer it to be mainly wood (MDF is ok if necessary for price) with the exception of 1-2 sliding plexiglass walls. I would also like the plexiglass to be clear (to enhance the realism). Think ding archi plexihouse or reyrey house but with more grown-up/realistic details (window/door finishings). I live in the city so I am always captivated by multi-level, multi-occupancy &/or mixed use spaces i.e: modernized brownstone with store/ business on first floor and living space on 2nd & 3rd floor with a roof garden. Price: If it's an assemble yourself kit, I could part with no more than $100.00. I want 1:6 scale. Collector Barbies do not want to live in pink plastic! :D And yes, I realize it would mean $$$$$. You have a lot more readers than you thought. windows windows windows, including sunroof and a grand stairway. I love the malibu house but it's so big. Two floors is good enough. To pay for something with windows, winding staircase and everything else I mentioned I'm willing to pay up to $200. It all depends on how big it is. "Eichler Atrium!" was also my first reaction. Hello, thanks for asking. Agree with everyone - want larger rooms so they do not look so cramped. Big windows, curved staircase, at least 3 bedrooms; multiple floors. I like the spa/rooftop pool and multiple levels of the Malibu Beach House at the Dollshouse Emporium. Recently purchased a Kaleidoscope house but am not fond of all the colors, evaluating how to change it - would like to have several options for completing the house so I could customize it to my preferences. Willing to pay what it takes to get something that would work for me - up to $200/$250 depending on the size, ease of building, flexibility, etc. I'd LOVE to buy plans like these - and $50 sounds fair for plans. Eichler model would be my very first choice, but love all these other ideas too. I'd like the plans to be easily made by the average not-quite woodworker. I.e. use easily available materials. Also I've noticed that while working with acurate to scale drawings, ceilings should be a tad out of scale. To look right, walls should be slightly taller than scale would call for. I'd be fine with PDF only plans that I can print out at home or Kinkos, which can lower the cost to the designer/seller.